Your author is aware that this season's suggestions have been carol-singing heavy, but doing so is a particularly festive experience so it seems worth mentioning another one, today taking place at Hampton Court Palace. Potential singers are invited to sing around the courtyards of Hampton Court Palace in the company of the Epsom & Ewell Silver Band. 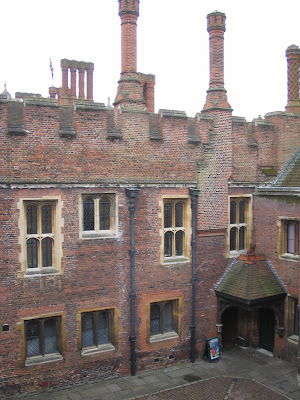 It all sounds fantastically festive, and if you haven't ever been to Hampton Court its courtyards are certainly worth exploring.